Was there a good enough reason to continue the story almost a decade after the fact? The correct answer is not really. However, Zoolander 2 does manage to produce just enough entertainment value to be somewhat enjoyable. It was incredibly off-the-wall ridiculous that, at times, it wasn't all that bad. And despite the recycled jokes and the deadbeat script I'm still glad I saw it, but I most certainly wouldn't recommend paying full price to see it. If you're a huge Zoolander fan (like myself) I would wait and Redbox it. Directed and produced by Ben Stiller, we start our story off discovering that Zoolander and his former rival model Hansel (Owen Wilson) haven't been doing so well over the years. In fact, they are in celebrity-social ruins and go back to hating each other. But rest assure, the story soon unites the fashionista parodies for more crazy-town adventures. The plot is absolutely scatterbrained. While the first film had a clear focus - Derek being brainwashed to kill the Malaysian Prime Minister - everything in the sequel is all over the place bonkers. At times they're looking for the assassins, other times they're just trying to do fashion, sometimes they want to find Derek's son, and other times they're just spoofing international espionage thrillers. 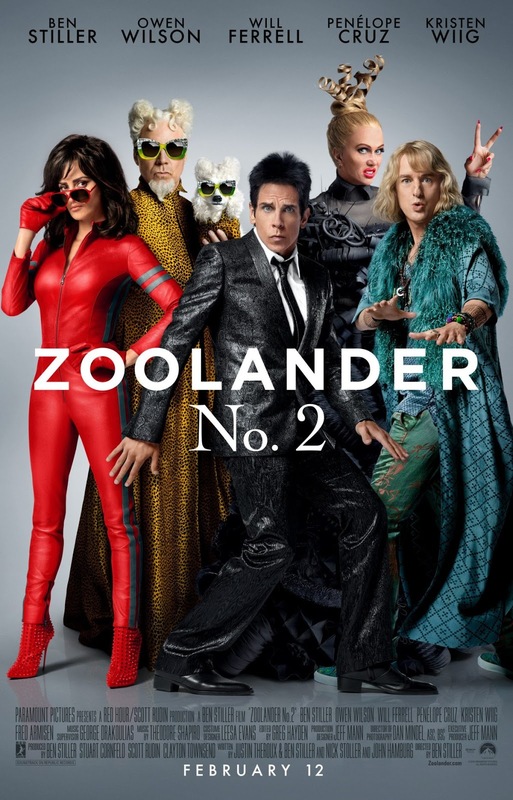 Zoolander 2 is an explosion of ideas that Stiller and his creative team didn't bother to focus on or develop. While I did find myself laughing quite a bit, mostly at scenes that made me say; "I feel like I'm taking crazy pills! ", in the end, I've had better.